Polycystic ovarian syndrome is a really common reproductive endocrine disorder in women where they have irregular ovulation. And usually most of the symptoms resolve around hormonal issues but it can also lead to other complications and risk factors with cardiometabolic issues. Well, one of the earliest signs of – for most people with PCOS is irregular periods. So they'll notice that their periods are either longer or that they get less than 12 periods in a year, usually less than nine. There may also be some really troublesome symptoms of hair loss or excess hair growth or acne. For some women they will notice things like weight gain. And definitely for those trying to conceive it's often more difficult for them to conceive. And that may be what clues them into coming and get investigated.To diagnose PCOS as a naturopathic physician mostly we're relying on a detailed history and intake. We also do a thorough physical exam looking for some of those signs of the hair growth or acne. But we also use blood work to look at hormonal irregularities. And then often we'll try to work in conjunction with their other health care providers to get ultrasounds done and some other more detailed lab work. Well, first and foremost we look at diet and lifestyle when we're treating anyone with PCOS. It is actually the first line treatment that anyone with PCOS should be investigating first. And that usually – most of the research we see shows us that it's not so much about calorie restriction when we look at weight loss for people with PCOS, but it's more of the types of foods that we eat. So low glycemic foods and so lower carbohydrate, higher protein diets seem to be very effective. Looking at getting more fibre in the diet also has shown really good results in clinical trials. And the neat thing is, is when you look at percentage weight loss, if we're looking at – with PCOS it's as low as five to 10 percent of their total body weight to lose before we can start seeing some really positive effects with ovulation or fertility or even some of the long term effects with heart disease and diabetes. PCOS is something that responds really well to naturopathic supplements that we have. So there are a couple supplements that we use that not only help to promote ovulation, which is at the root cause of people with PCOS, but also to help alleviate some of the unwanted symptoms if women have acne or hair loss. So there are some supplements and also some herbs that we can use in conjunction or as alternatives to conventional treatments. If you're interested in learning more about how a naturopathic doctor might be able to help you treat your PCOS or be a part of your already existing health care team, please contact your local naturopathic doctor. Did you know Naturopathic Doctors can help treat PCOS? Diet and lifestyle are important factors to consider when treating PCOS. Patients with PCOS may notice that they have irregular periods. 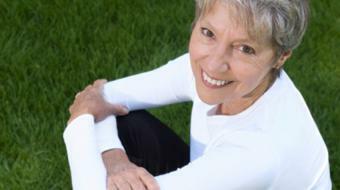 PCOS is strictly caused by hormonal imbalances. 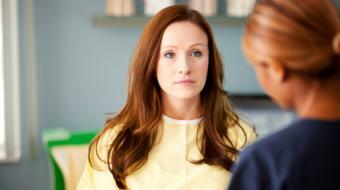 Patients who have PCOS may notice hair loss or acne. Either losing or gaining 5-10% body fat can effect PCOS dramatically in some patients.